Honaker Police are actively searching for a suspect who escaped a foot chase with multiple officers. The department reports that a traffic stop was conducted on 36-year old Jonathan Thomas Hess for failure to stop at a stop sign. When the officer approached the vehicle, he noticed a pistol concealed between Hess’s legs, and took the gun away. Officers say the suspect has an active protective order, which prevents him from transporting a firearm. When they attempted to apprehend Hess, he pulled away from the officers and took off. Police ran after Hess, and the suspect attempted to punch an officer, while that officer sustained minor injuries in a fall during the foot pursuit. A description of Hess says he is white, around 5’10, weighs about 190 pounds, has brown hair, brown eyes, and facial hair. Hess is wanted for multiple charges including assault on a law enforcement officer and purchasing/transporting a firearm while being subject to a protective order. 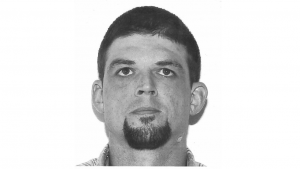 The Honaker Police Department request that anyone with information on Hess is asked to call (276)-873-5287.